All New York City public schools will be closed Wednesday for the storm, Mayor de Blasio announces. 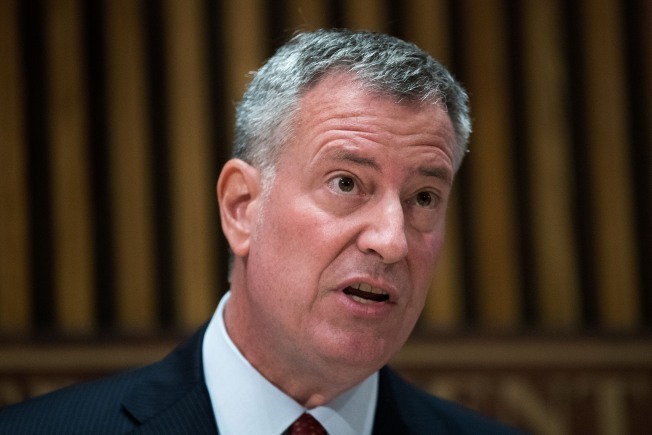 New York City schools will be closed Wednesday, Mayor de Blasio announced Tuesday. The mayor announced that classes wouldn't be in session as the city prepares for the fourth nor'easter to hit the region in the month of March. This one, according to Storm Team 4, could wallop the five boroughs with as much as 1 foot of snow one day after the start of Spring. It's the first of the wintry storms for which city schools have been canceled. Mayor de Blasio cited the possibility for heavy snowfall during school hours and conditions that could deteriorate through the day as reasons for closing the nation's largest school district. "Never trust groundhogs," the mayor joked, referencing Staten Island Chuck's prediction of an early Spring. "They will always lead you wrong." He added, more seriously, "We want to be safe in this case. We want to exercise caution." Alternate-side parking regulations have also been suspended Wednesday and Thursday. "If you don't need to move your car, don't move your car," de Blasio said. "And let's state the obvious: if you don't need to be on the roads, stay off the roads." Dozens of other school systems in the tri-state announced cancellations ahead of the storm.